Pat’s history in the arts goes back 40 years to Paris, where he began his career by repairing and making furniture. Pat had a small shop, a few tools and lots of paint used to hide mistakes. There was a blue period, a red period and a white period and soon, people began asking him to create new furniture. Then came work in porcelain tile, and after moving to the Olympic Peninsula, his attraction to the natural forms of the forest led him into wood carving. 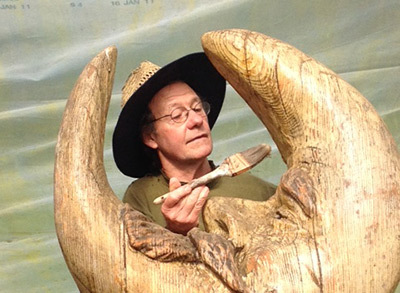 Currently, most of his work is large-scale carvings from already-downed trees, using everything from a chain saw to fine chisels. 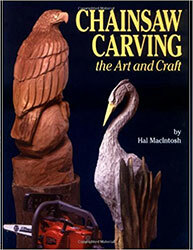 His whimsical and even comical sense is often the basis of unique carvings of people and animals. Many of Pat’s works are visible in public spaces up and down the West Coast. 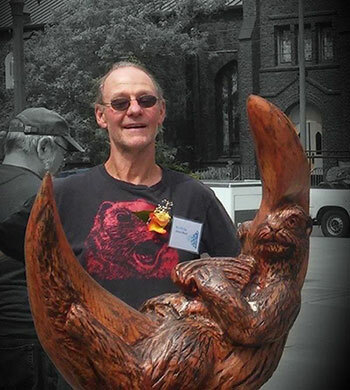 He was a founding member of the Northwest Stone Sculptors Association and the Cascade Wood Sculptors Guild. 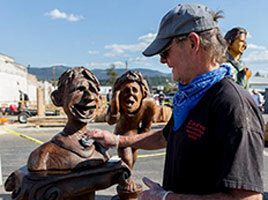 He shows his work at “Music for the Eyes,” a gallery in Langley, Washington. 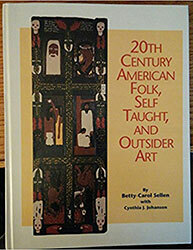 1971 – present Self taught. 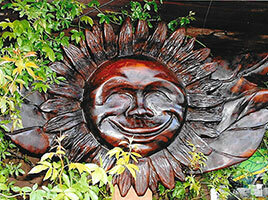 Working in various mediums – wood, stone, clay, cast metal, concrete snow and ice. Recent work in welded steel. 1969 – 1971 Anthropology, English Literature at Spokane Falls C.C. and Western Washington State University, Bellingham. 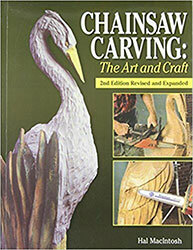 1983-present Sculpting full time. 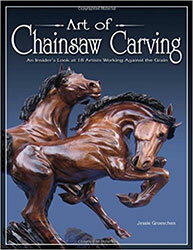 Specializing in large wood sculpture with other works in stone, clay, cast metals, concrete, snow and ice. 1973-1983 Custom made hardwood furniture, carved signs, hand painted porcelain dinner sets and tiles, some 1973 Shake splitter in twisted woods of Olympic Rain Forest, Humptulips, WA. 1970 Logger, fisherman and cook, Annette Island, Alaska. 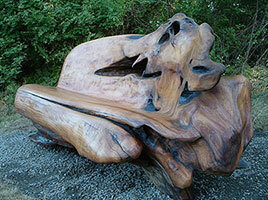 2004-2006 Westcott Bay Sculpture Park, Roche Harbor “Rest” cedar bench purchased. 2004-2005 Everett Arboretum “Slugger” Giant Baseball, ball and bat.